Happy New Year! It’s that time of the holiday season to reflect back on the past year and adjust course for the new year. Traditionally, resolutions are promises to do acts of self-improvement or kindness (to others or yourself). They tend to be general, life-changing commitments for the upcoming year. Resolutions shouldn’t be confused with goals, which are very specific aims that can be measured and attained. For example, a very common New Year’s Resolution is to lose weight. One can turn that into a goal by saying that they want to lose 25 pounds by the end of the year. Both resolutions and goals are helpful techniques for making life changes. We’re going to focus on running resolutions in the traditional sense – general targets of improvement for running and health in the upcoming year. Running together – up until this past year most of our running was done apart from each other. While we still train and race individually from time-to-time, we’ve really enjoyed the fun (and challenge) of running together and plan to continue the journey together. 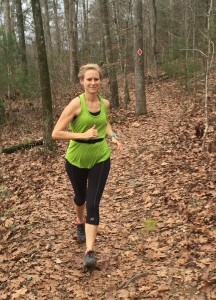 Trying out trail running – for the most part, most of our running in the past has been on roads and paved paths. We’ve always enjoyed nature and hiking, but kept it separate from the act of running. No more, combining running with trails has been a great experience and we now enjoy that more than running on pavement. Starting this running blog – in this social media age, we were already sharing pictures from running events and decided to take that a step further (click here to read about why we started this blog). We’ve been humbled by the positive response and intend to continue the blog. 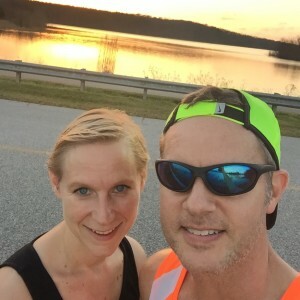 Although there’s something to be said about the comfort of having a “home base” running route or race (click here to read about that), we’ve had the most fun trying out new routes and races. The metropolitan Atlanta area where we live has seen an explosion of new efforts at developing paths and trails in the area thanks to the Path Foundation, the Atlanta Beltline, and other organizations. 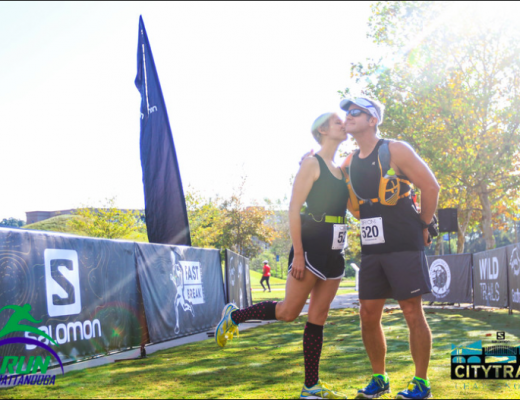 One of our favorite weekend date ideas is to go run in a new location, then eat at a new restaurant afterwards. We’re looking forward to exploring new places in 2016. Do you have any you can recommend – paved or trail? 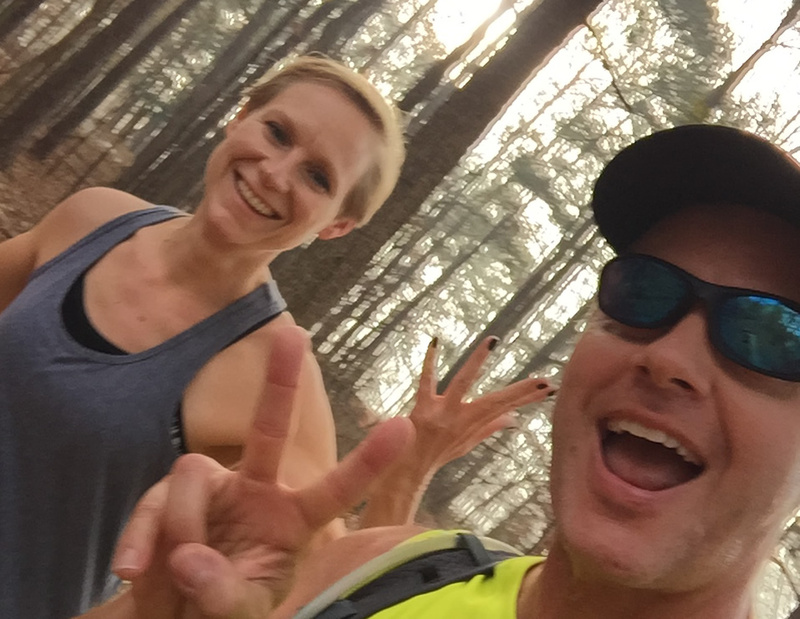 As mentioned above, we decided to hop off the pavement and try out trails in 2015, which has injected a new sense of fun into our running. 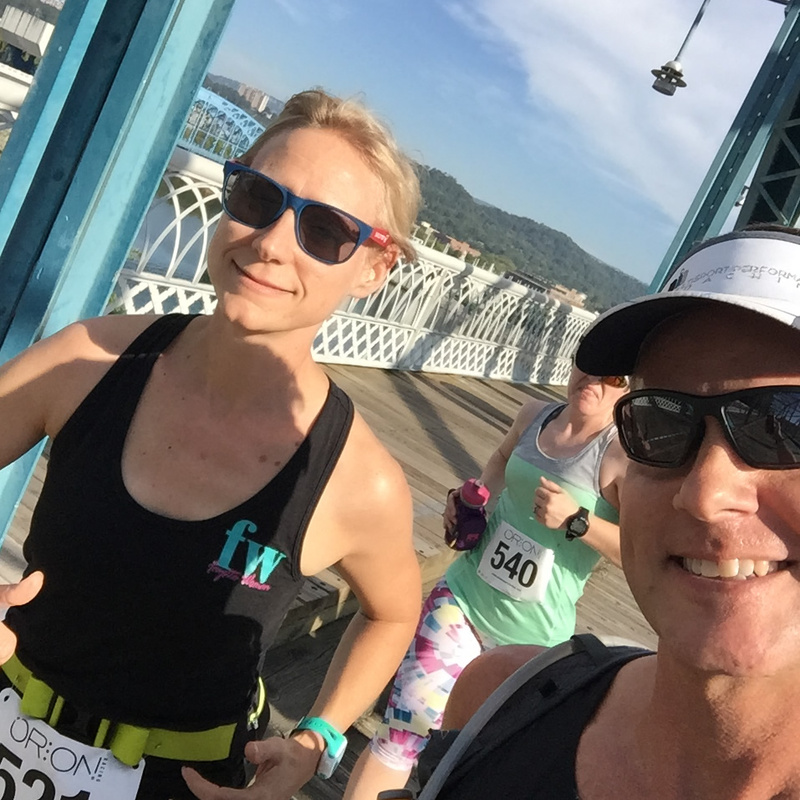 Great organizations like Run Bum Tours and Wild Trails put on great trail races that served as a wonderful introduction to the magic of trail running for us. 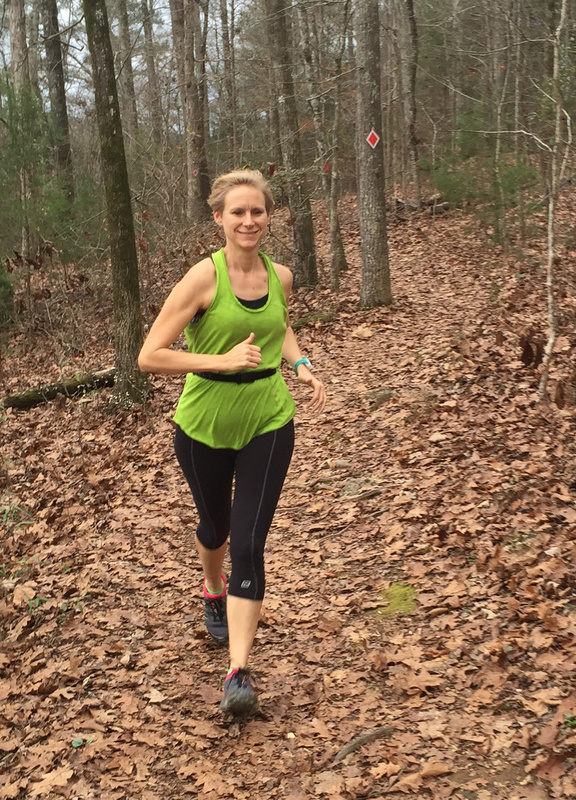 We’re still new to trail running and for the most part, we’ve only tried out fairly non-technical trails. On the road, we tended to get overly fixated about pace, PR, and (age group) placement. On the trail, we let go of our attachment to those things and just enjoy the journey – the water crossings, the rock scrambles, and the beautiful sunrises. 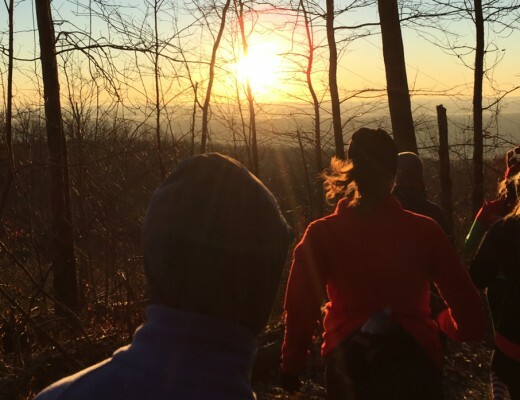 We will be running more trails in 2016 and you’ll be reading about it here on this blog. 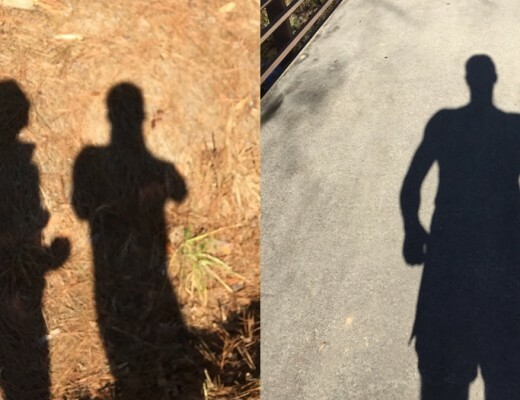 In 2015, we adjusted our running training to spend more time running together. Because we race at different speeds, we’ve had to let performance-goals take a backseat to our running adventures together. 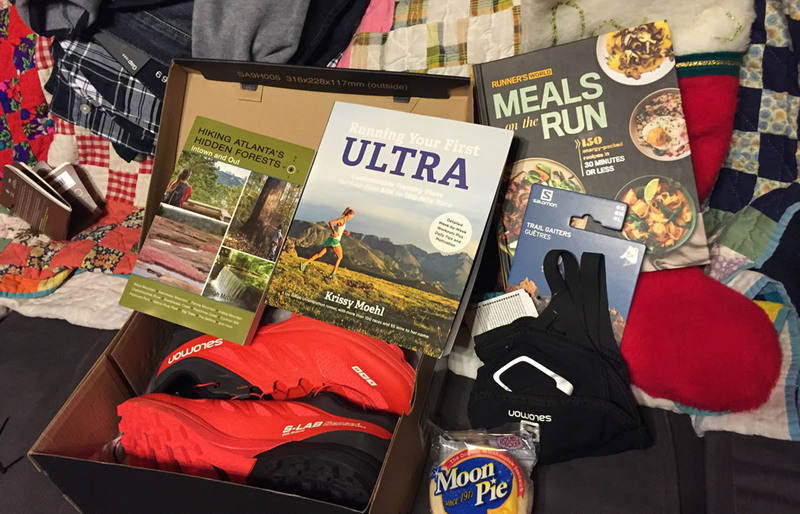 In 2016, we both want to improve our running – speed and endurance. Making that happen will require a little more discipline in speed work, long runs, and tempo runs (click here to read about three key workouts). 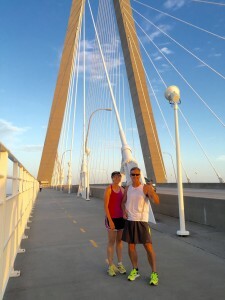 We’ll continue having fun exploring new areas and running together, but we also intend to do more performance-oriented workouts individually to improve our running. Joe’s love of donuts notwithstanding (click here to read about that), we resolve to eat better as a family. Like many modern busy families, there’s not a lot of time for food preparation or family meals. We know that home cooked meals are not only better for you nutritionally, but for family growth, as well. Santa brought us some new cook books and we hope to try out some new recipes based on organic, whole foods. We’ve done a fairly good job of cutting down family soda consumption this past year. In this upcoming year we need to avoid the fast food drive-thru and aim for the family dinner table. We believe the key to making this happen will be planning ahead. Mary Catherine started gardening 2 years ago. 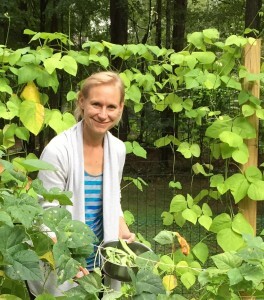 Although the whole family doesn’t appreciate the effort and time gardening takes, it is definitely worth the work. We plan on continuing to garden this spring. This requires help from the whole family, including Mary Catherine’s father, Bill. Bill has years of experience and graciously shares his experience, know-how, and brawn helping us with the garden each year. Again, the key is planning ahead. Mary Catherine once had a shirt that boldly stated “Attitude is Everything”. This year we thought changing this statement to “Gratitude is Everything” might work. We are both grateful for so many things: good health, family, friends, work, etc. However, the expression of our gratitude sometimes gets lost in the business and stress of our day-to-day lives. Gratitude isn’t the lack of challenge. It is seeing the beauty in life’s challenges. It is being thankful for the opportunity to grow and change. It is looking beyond the complicated and finding grace. Yes, gratitude needs to be expressed. We are choosing to be more thoughtful and express our gratitude. With gratitude on our heart and mind, there won’t be as much room for grief, anger, worry or discord. “Life is a Journey, Not a Destination”. This past year we celebrated 21 years of marriage (click here to read about how we spent our anniversary weekend – running!). We’ve had an extraordinary life – three wonderful children, great adventures, difficult obstacles overcome, and through it all we’ve stuck together. It hasn’t been easy, but nothing worthwhile is easy. More important than the preceding five resolutions is our sincere desire to continue the journey together and grow our relationship. Thanks for your support and we look forward to spending 2016 together and with you!